Waagacusub.com- As Somalia's Jubaland State prepares to hold elections in August this year, Garissa County elders have endorsed the re-election of President Ahmed Madobe over improved security at the border between the two regions. 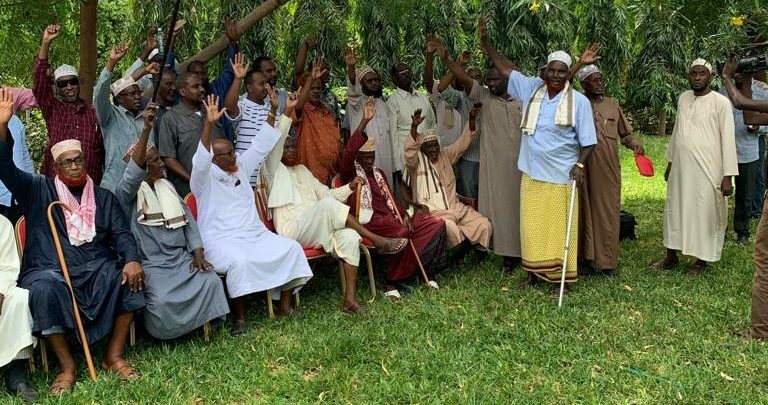 The elders who had a meeting discussion at a hotel in Garissa yesterday have endorsed the re-election of the current president Ahmed Madobe. The elders who have praised the efforts by President Madobe and Amisom troops to liberate the lower Juba from the Al Shabaab insurgents. Last December 2018 Jubaland president Ahmed Madobe met senior politicians and elders in Garissa County to lobby for support for his upcoming polls in the semi-autonomous region in Somalia. Jubaland State, which neighbours Garissa County, is inhabited by the Ogaden communities. The state is set to go to the polls on August 2019. Several candidates from Sheikh Madobe’s backyard are eyeing his seat beside other contenders who have backed President Mohamed Abdullahi Farmajo’s government. Jubaland’s capital Kismayu was captured by the Kenya Defence Forces from Al-Shabaab in 2012. It stretches along the entire Kenyan border, effectively creating a buffer zone with the rest of Somalia.